As more people support the legalization of marijuana worldwide, 2014 is looking like a better year, for all marijuana activists. Not only, are some US States already changing their laws about this herb, but more countries are doing the same and more people are now opting to vote in favor of legalizing cannabis everywhere. 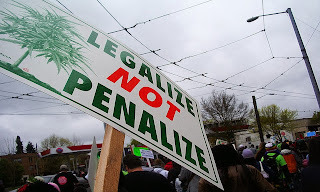 The legalization of cannabis in the States of Colorado and Washington, have increased everyone's hope, on getting this herb legalized and it is certainly opening up the minds of lots of people, who were against this in the past. 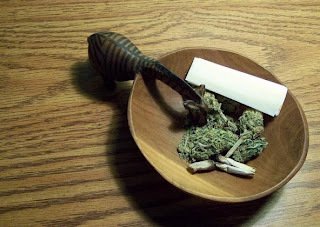 John Hudak, who is part of the Brookings Institution governance studies, stated "We have a bunch of stereotypes about the marijuana movement and lobbying effort as a bunch of college kids who want to smoke weed. The marijuana lobby is coming out of the shadows from this avant-garde movement to people who are thinking about legalization in a very rational, serious, and empirical way." The number of people, who now think that legalizing marijuana is not a bad idea at all, has also increased a lot in the last couple of years and this shows, how the majority is now in favor of making cannabis legal worldwide. If you love cannabis as much as we all do, you should also be doing something to help marijuana become legal worldwide. You can start by sharing and liking this blog post, so that other people can read these news and start doing something for the legalization of cannabis too. We also recommend you subscribing to our free mailing list, by leaving us your email in the box to the right and we will send you some very interesting information about cannabis, directly to your inbox.